From now until the 24th of December, get "Ride Away" deals on both Espresso 150 and Downtown 300. Off the back of the current Like 200 promotion, Kymco Australia have announced two more tempting "Ride Away" deals. Until the 24th of December purchase the Espresso 150 for $3,095 or the Downtown 300 for $7150. 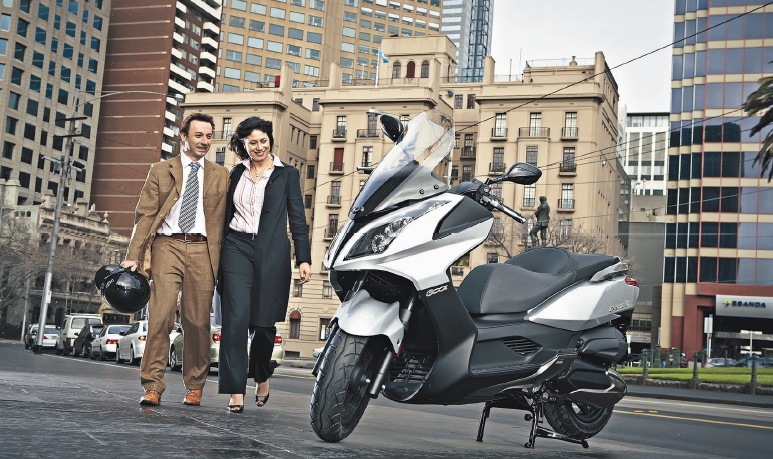 Kymco's long running Espresso has always always been a commuters favourite. 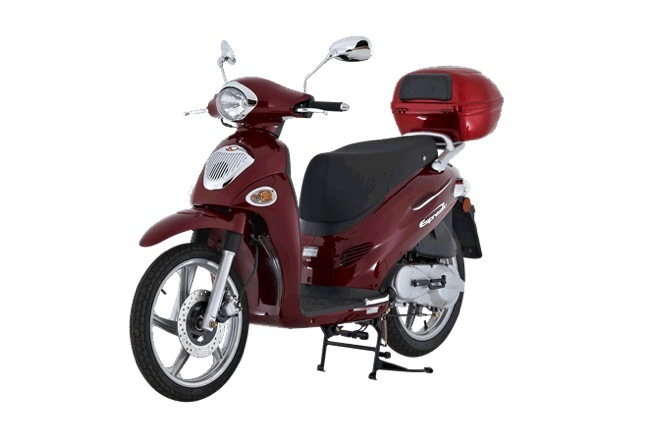 With its big 16 inch wheels and powerful, yet reliable, 150 cc engine. The Espresso remains tried and trusted and carries itself with a true sense of classic style. The Downtown 300 is one for the power hungry. The full 299 cc engine provides enough herbs to cruise happily at freeway speeds. Commuting is only enhanced through a large underseat storage area and the assurance of ABS braking comes standard. Both the Espresso and Downtown come registered for 12 months. Sale ends the 24th of December, 2013. CFMOTO have announced a new relationship with KTM that will see the two organisations work collaboratively to offer the local Chinese motorcycle market a range of KTM motorcycles under the trademark KTMR2R. 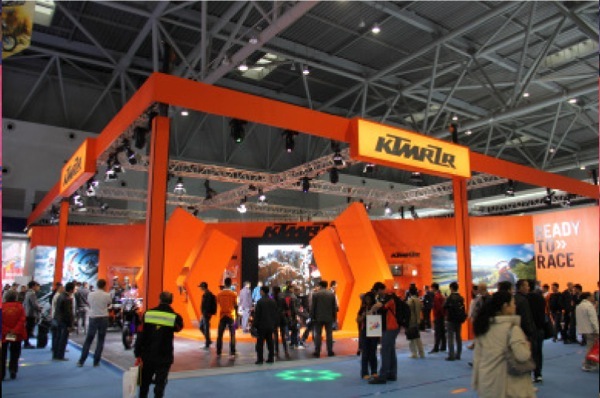 Under the terms of the collaboration CFMOTO will be responsible for the distribution of KTM motorcycles in China and will assemble selected models from imported knockdown kits. 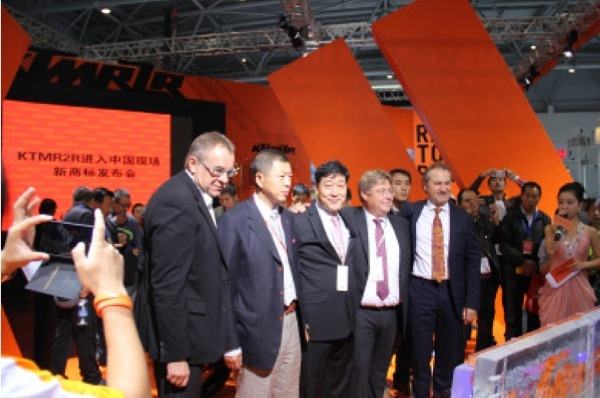 The joint announcement was made at the China International Motorcycle Trade Exhibition (CIMA) where KTMR2R showcased a broad range of on and off road KTM motorcycles to the Chinese public. Speaking at the announcement, KTM CSO Mr. Trunkenpolz said the move into China was a logical next step as the organisation executed its globalisation strategy. “The rapid development of the Chinese economy is giving rise to a new type of Chinese customer, one who demands product differentiation,” he said. Mr. Trunkenpolz also noted success in other emerging markets as a driver for their entry into China. “KTM is experiencing greater success in emerging markets than we ever thought was possible,” he continued. Also speaking at the announcement, CFMOTO President Mr. Lai commented on the similarities between CFMOTO and KTM. “Both CFMOTO and KTM emphasize high-end performance motorcycles that form part of the riders lifestyle,” he said. Chinese motorcycle association chairman Mr. Li, a special guest at the announcement, said the collaboration between CFMOTO and KTM reflected the rapidly shifting local motorcycle market. “The Chinese motorcycle market is going through a structural adjustment and the products on offer are being updated as a result. “The rise of the motorcycle as a lifestyle is upon us, which highlights the need for companies such as CFMOTO and KTM. 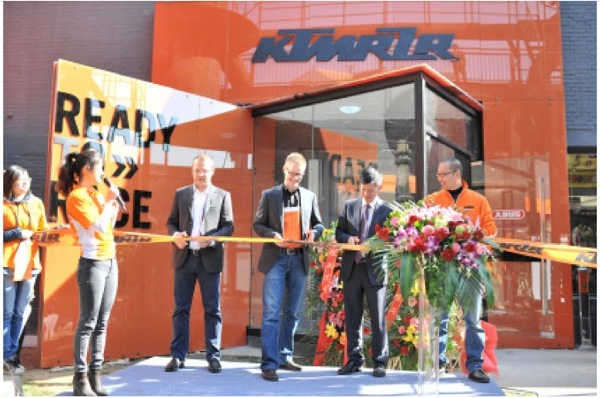 “Personally, I have a lot of confidence in this cooperation between CFMOTO and KTM, one is an internationally famous brand, and the other is a local firm that insists on a differentiated development strategy. “I believe this cooperation will be a breath of fresh air in the Chinese motorcycle market and provide Chinese customers a higher quality product and service,” concluded Mr Li. With the announcement confirmed just days ago, KTMR2R have already opened stores in Shanghai and Beijing with the full KTMR2R product range expected to be available in store early 2014. KTM was founded in 1953 in Mattighofen, Austria. Since its inception, KTM has won many world championships including a streak of twelve consecutive wins in the world-famous Dakar Rally, which they will defend in 2014. Recently, KTM has stepped into the street bike arena and is encountering success at every corner. CFMoto manufacturing is based in Hangzhou, China, and the company has been manufacturing power driven products for over 20 years. CFMoto is firmly set on becoming the world’s leading supplier of powersports products, a goal that will be achieved by keeping a constant focus on its core values of continual improvement, innovation and quality. 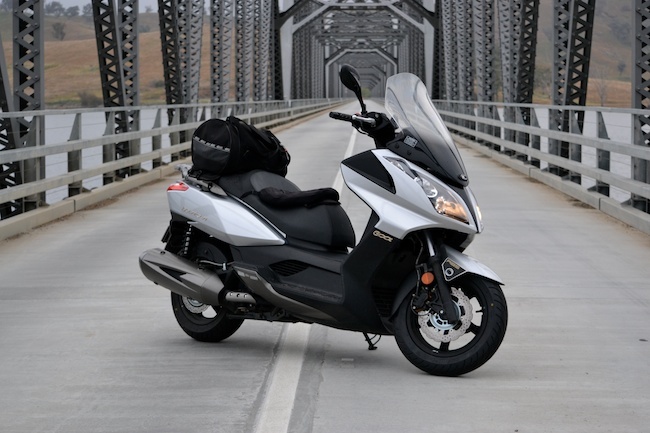 Until the end of November, purchase a Kymco Like 200i with 12 months registration for only $3490. 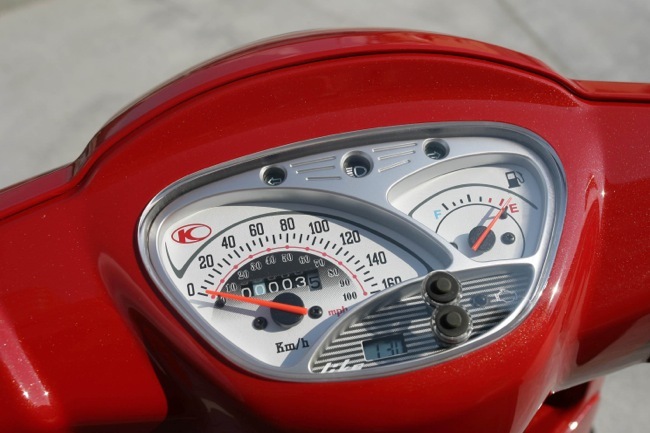 Get ready for summer and get on a Like 200i by Kymco. Until the end of November, the classic styled Like 200i will be sold nationally at $3490 with 12 months "Ride Away" registration. 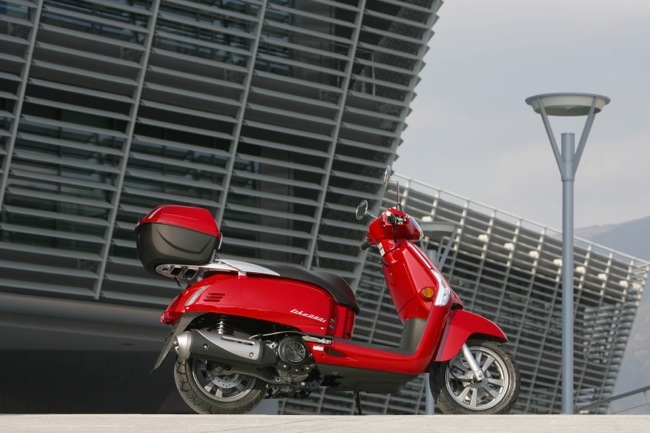 The Like 200i features a 163 cc, fuel injected engine that provides enough power to zip down the motorway or zoom around the city streets. Other key features include adjustable dual rear shocks, 12 inch alloy wheels and a unique classic style. Storage is enhanced with a flat floor and colour matched top box standard. The Eicma leaks begin. 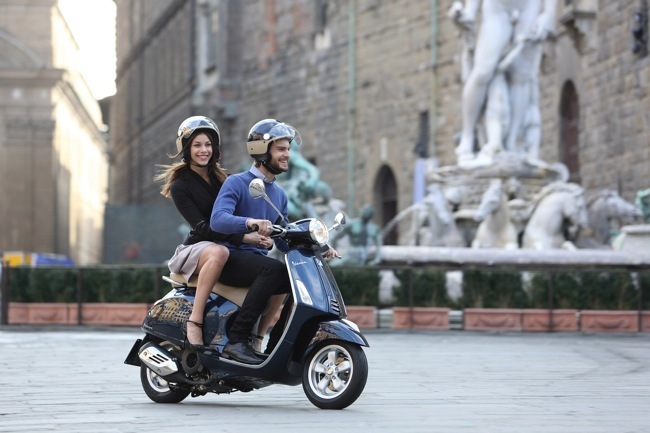 An all new Vespa model to be released this week in Italy. Eicma begins this week in Milan, and with it, comes the onslaught of new models. Whilst actual details might be short, these images can't hide that Vespa will launch a new small-frame scooter called the Primavera. 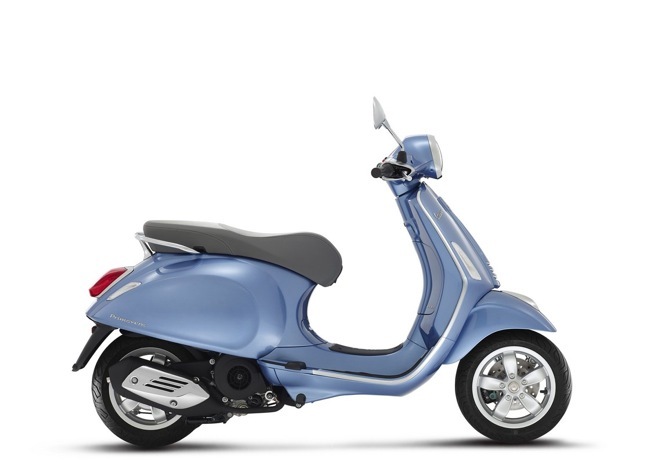 The Primavera is an update for the current LX and another reminder of Vespa's past, similar story to the Vespa 946. Here is what is clearly noticeable from the pictures. The Primavera will launch a newly designed and constructed, one-piece metal frame. The front suspension looks to be in for an overhaul. The rear tyre looks to be bigger, whilst the seat height looks to be shorter. Design is very 946. Front LED blinkers and a redesigned horn cover. 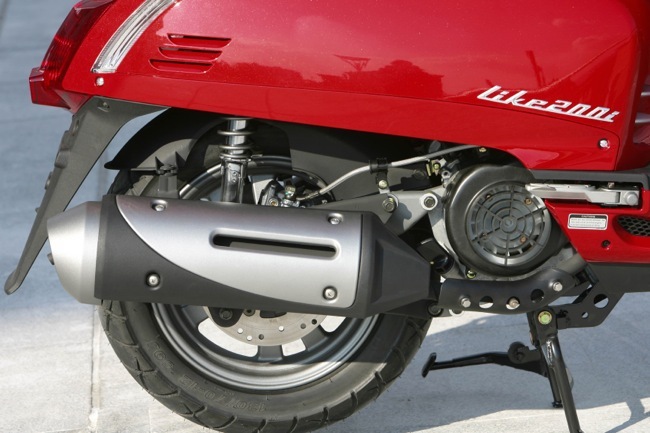 The front handlebar cover and headlight/chrome surround is new also. The engines will most likely be the same 3 valve units used currently, though you can see the new exhaust and heat shield. Pictures would also suggest the rear brake remains drum (which is a little disappointing). Expect further details mid-week as the Eicma show opens to media. We will have all the updates here on Scootersales.com.au.